I would walk to the church after school since it was less than a mile away, and would go straight to my father’s office where he had a full kitchenette. Being a typical boy my metabolism was that of a hummingbird, I was like a shark in a feeding frenzy and I just had to eat, and it just so happened that this kitchen was always stocked with microwave popcorn. So, I would nuke a bag and enjoy my afternoon snack. To this day, I eat popcorn almost every night after dinner. My favorite “brand” is the cheapest, Kroger brand and every time I throw one of those bad boys in the microwave, I wait for those final “pop between 3 seconds.” As I pull out the bag at hopefully the perfect moment, and dump the buttery contents into a bowl, I anticipate not being able to hear the sound of the kernels hitting the bottom of the glass bowl, because you see, I have cooked a perfect bag. Once. All popped, no burn. It was marvelous. Do you have any childhood foods you still love to eat? Whoa? You have a 23 year old daughter? No way! It’s ok Moe, your comment on the last post makes up for this blunder by a long shot. I have wondered if I stuffed my mouth with unpopped popcorn and stood in a full-body x-ray machine if it would start to pop? Leftover kernels…I could save them for weeks and eat them like cracklings. Best popcorn: Orville Redenbacher’s Natural Butter. I got Orville’s before, sure the taste is there and they’re light and fluffy and all, but from 1 bag to the next the pop-efficiency is just too inconsistent. Oh money. Wait, doesn’t your wife make it really good? It’s all about the classic air popper with my own melted butter and sea salt. Half the fun is watching it spill out. You seriously need one. I’m gonna rock the popper in the pic. Melted butter from putting it on top of the popper, right? I remember those days… but I think I’ll stick with getting a mini-carnival popper. I love me some popcorn as well. Have you tried this stuff: Orville Redenbacher Caramel Popcorn? Childhood food that I still love…. hmm…. Abba-Zabbas. Those taffy candy bars w/ creamy peanut butter centers…. Heavenly! To be honest I haven’t, but I’m thinking I should. Jealous, so jealous. I cannot find it here in CT. My bride and I used to chow it when we lived in DE, but not here…so jealous of you right now, D.
Perfectly popped bag with some sour cream and onion chips mixed in with it. Life changing my friend! Childhood food i still love…Pop Tarts! I had to re-read this, because all I saw in my head was some messy sour cream all over the popcorn and an onion on the side. Oh, hi “chips.” I get it now. Ya know, I was craving some popcorn just last night. coincedence? I think not. Thanks for sharing and here’s hoping tonight is that perfect bag. Tonight’s bag had 9 kernels unpopped. #fail. We didn’t have microwaves when I was a kid. If we wanted popcorn, one of us had to rub two sticks together while the other held a kernel next to them. If we were really lucky, we got to use tongs to hold the kernel. LOL Yes, thanks for bringing it today Larry. Love the smell of popcorn but my favorite childhood snack was peanut butter. On celery with raisins ala ants on a log? Or did you just stick the wooden spoon in the peanut butter then dip that in a bag of M & M’s? …I feel I may have said too much. Did the kids tell you that I made caramel poopcrn one day? Whoa, whoa, whoa! 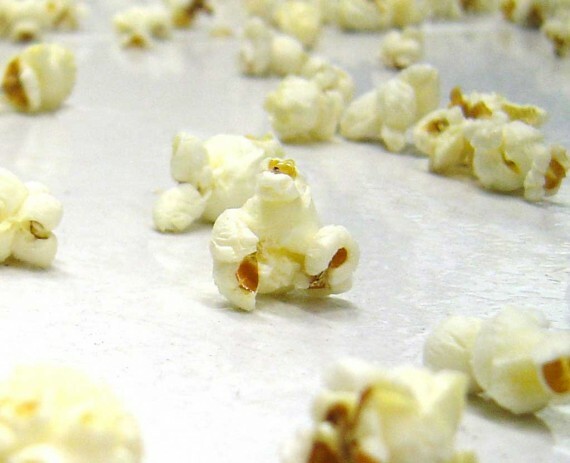 – popcorn, not poopcrn! No, they probably didn’t tell me because they know how much I hate kettle corn, so they might associate the two. Or maybe they’re just selfish and wanted it all to themselves. 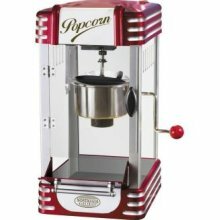 I’ve never hit the sweet spot with microwave popcorn. I’ve come pretty close. Alas, I found a couple of kernels. Have you ever tried the Lime & Salt popcorn? That jank is good! Longtime favorite since JR high days is Captain Crunch with chocolate milk. I don’t eat as regularly in the last 10 yrs, but still very enjoyable.